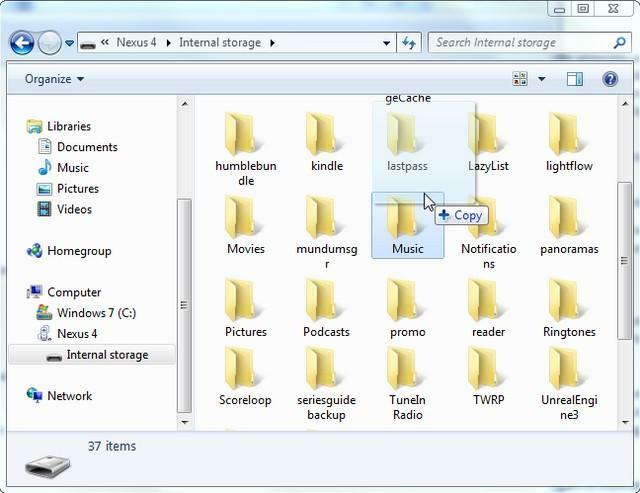 How to Backup Android Phone and Tablet? Why need to Backup Android Phone? People depend on their smart phones every day. You would be crazy if your Android was lost or stolen, or all your photos, text messages, contacts, and other valuable data were wiped. Prevent that disastrous scenario by backing up your phone. How to Backup Android Devices? Google's Android operating system has the option to backup some sections of your phone, as well as automatically restoring these parts when your phone is reset. The steps to backup your Android device vary slightly from device to device. In general, go to "Settings" > "Backup and Reset" > then tap "Backup my data" and "Automatic Restore." You're not done yet. While in Settings, go to "Accounts" and click on the Google Account you want to sync your to data to. Tap the "sync" icons next to Email, Contacts, Calendar, Books, and any other service you want to virtually back up. That's it. Google hasn't implemented a native photo backup service yet. You can transfer photos, videos, and music from your Android phone straight to your PC or Mac by plugging your phone into your computer and manually copying the files over to your hard drive. It's not a perfectly synced solution, but it's quick and easy. Connect your phone to your computer via USB, set it in Disk Mode and locate the drive (on the desktop for Mac, in My Computer for Windows). Open the drive, find the DCIM folder, and drag the photos you'd like to back up onto your hard drive. For the other data that Google doesn't directly back up, such as SMS/MMS messages, playlists, and alarms, you can use third-party software, such as MyBackup Pro, Titanium Backup, etc. 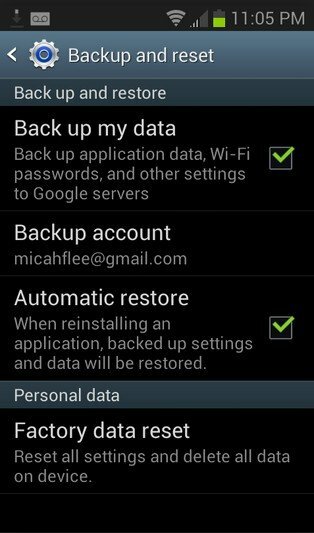 What if you lost your data before backing up Android device? It doesn't mean they gone for good. You can recover lost, deleted contacts, photos, text messages, videos and call history on your Android device by using Android Data Recovery. It supports all Android phone and tablets running Android L, 4.4 and newer, Android 3.0 to 4.3, Android 2.3 or earlier, such as Samsung, HTC, Motorola, Sony, Asus, etc.